"MCG" and "music" generally conjure spine-shuddering images of grand final day, Julie Anthony and sundry Australian Idol cast-offs, but sport's great cathedral is seemingly reinventing itself in song. In March, Sound Relief brought Midnight Oil, Hunters And Collectors and Crowded House together on the one bill, and gave Paul Kelly a chance to sing Leaps and Bounds at the venue it immortalises. And now the "paddock that grew" is to be graced by a man of whom The Guardian's music critic, Robin Denselow, wrote this week: "It is dangerous making predictions, but here goes. Geoffrey Gurrumul Yunupingu — better known as just Gurrumul — is going to be the next world-music celebrity." And while Gurrumul is as excited about playing at the 'G as organisers of Saturday night's Dreamtime game are rapt to have him, it's the people of his Arnhem Land community who are looking forward to it most of all. 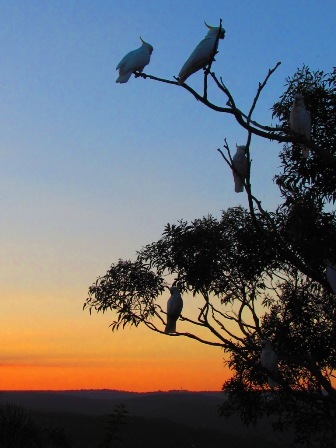 "Gurrumul's from Galiwin'ku on Elcho Island, in north-east Arnhem Land," his manager, Mark Grose, said yesterday. "I reckon it must have the highest participation rate for Aussie rules in the country — there's about 2500 people, and every year they get up eight or nine senior teams. Saturday night's going to be one of the rare events where the family are going to be able to see him play (at least on television), and for them to see him play at the MCG … he could play at St Peter's Square and it wouldn't matter as much to them. Everyone in the Territory follows the local players in the AFL, so for them to see a musician down there as part of it, they're just going to be over the moon." BLIND since birth, Gurrumul has grown up surrounded by footy talk, with Grose reporting that he is a big fan of Geelong, where he spent a few years as a child attending a school for the blind. 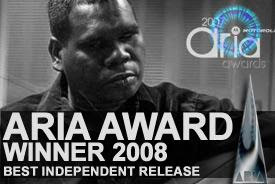 "Gurrumul follows it on the radio. It's always been there, with his family talking about footy and him listening to the TV when everyone else is watching. We often have a little game here where we pretend we're playing footy, I'll tap it down to him and he'll kick a goal. It's a real animated footy match. Gary Ablett jnr's his all-time favourite, but he doesn't pretend to be anyone else when he's kicking goals — he's always just himself." 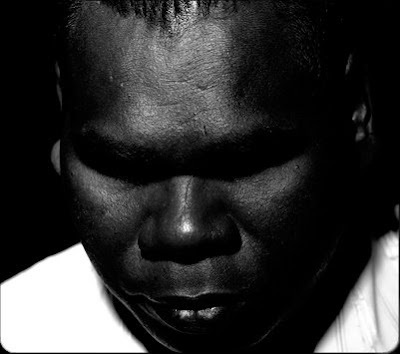 Gurrumul has another Geelong link — Nathan Djerrkura is also from the Gove region of Arnhem Land, and speaks Yolngu, the dialect Gurrumul sings in.